The ruling Partido Demokratiko Pilipino-Laban (PDP-Laban) has now become a refuge for narco-politicians and has gained for critics a new moniker: Partido Durugista ng Pilipinas (PDP). The disparaging tag on the party that helped push President Rodrigo Duterte to Malacanang in the 2016 election, has been blamed on House Speaker Pantaleon Alvarez and his massive recruitment of new members. 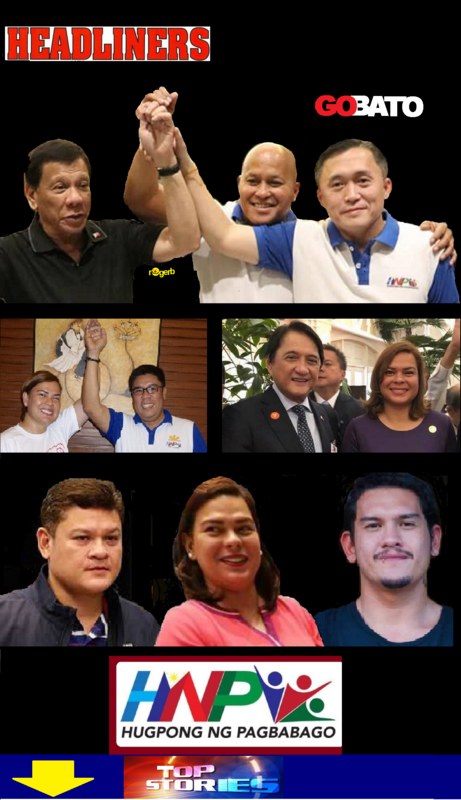 Critics of the administration of Duterte, who campaigned on a no-mercy anti-drug platform, are making a big joke of the tag, but original members of the PDP-Laban at the center of Duterte’s presidential campaign in 2016 are not happy. Alvarez, PDP-Laban secretary general, laughed off the accusation that PDP now stands for “Partido Durugista ng ilipinas” and that his recruitment had enlisted politicians involved in the drug trade. That is not true, Alvarez told anchorman Jun Bersamin in the program Banat on DXAB radio in Davao City weeks ago. But a group of PDP-Laban old guards has accused Alvarez of “unauthorized recruitment” that they alleged included narco-politicians. The group is led by Cesar Cuntapay, PDP-Laban coordinating council chairman in Mindanao, Benito Ranque, PDP-Laban deputy secretary general and Rogelio Garcia, former labor undersecretary and party chairman for Region 12. The group has declared Alvarez as “persona non grata,” for the list-up where new members did not undergo membership seminar and orientation required by the party’s constitution and by-laws and for other “acts inimical to the party.”. Massive recruitment of new party members by Alvarez has opened the floodgates for entry of narco-politicians into the party, said the group. President Duterte has vowed to eradicate the illegal drugs trade that involves police, military and government officials. Narco-politicians are on top of the hate list of the President’s war on drugs. Raising fear that the entry of narco-politicians into the administration party could undermine the President’s war on drugs, the group planned to raise the issue to President Duterte. Ranque said their group is monitoring reports that a number of narco-politicians were able to join the PDP-Laban through Alvarez’s recruitment. The PDP-Laban will not be a “sanctuary” for narco-politicians, said Ranque.